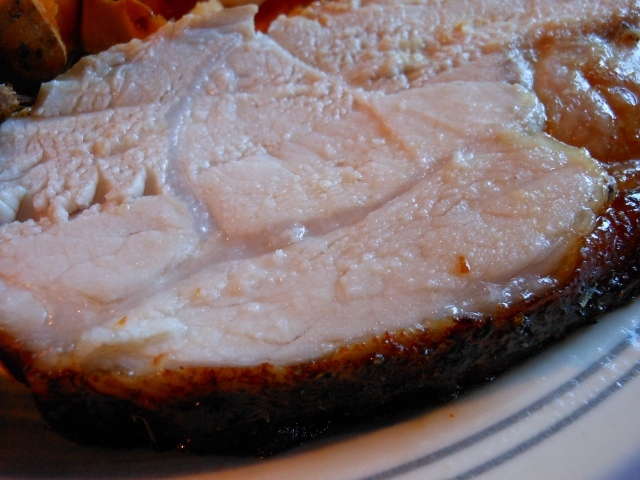 A pork roast is just about one of the easiest dinners to fix. No fussing; just season it, stick it in the oven, and dinner will be served. The one thing I notice though when I check my cookbooks for times on different size roasts is that it always seems to tell me to cook them too long. I bought a 6 pound pork loin at the store yesterday and when I refered to my book it said 20 – 30 minutes per pound for a 4 pound roast; it didn’t really refer to a 6 pound roast in either book I checked. Anyway, I knew 2 hours would be more than enough time and I was correct; it took just at an hour and a half for my roast to turn out perfectly. I was flexible on time so it didn’t matter that it was ready faster; besides I knew a 20 minute rest would be good for a roast this size. 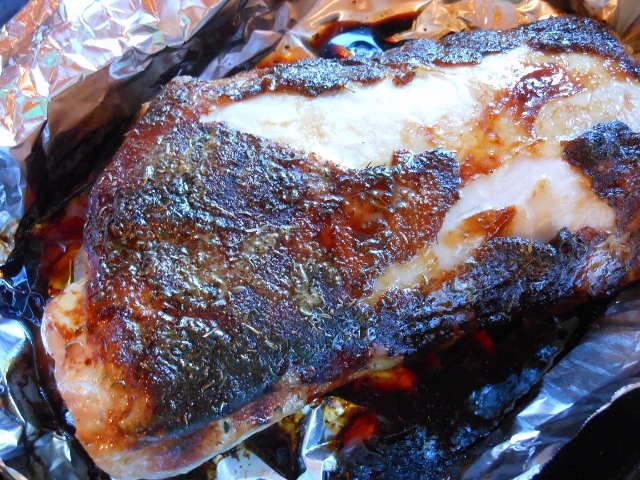 My pictures don’t do it justice, it really had a nice crispy skin to it from the honey and was very moist when finished. Line roasting pan with foil and season as desired. 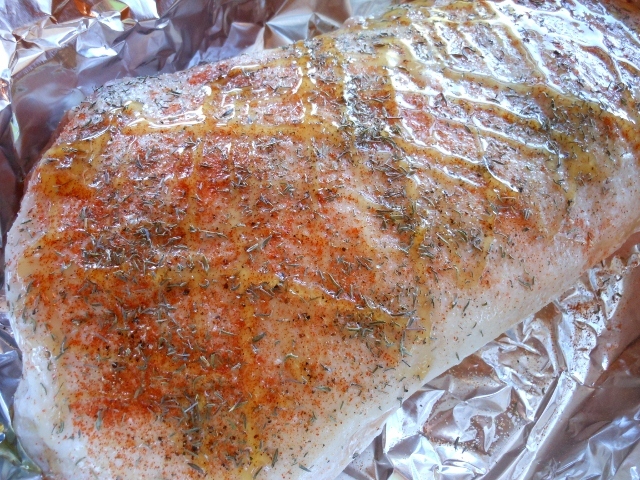 I sprinkled mine with salt, pepper, garlic, cayenne, and thyme. I then drizzled honey over the top and popped it in the oven at 350 degrees. Bake for about 1 1/2 hours or until desired temperature is reached. You will want to reach about 160 to 170 degrees depending on the doneness desired. I like to shoot for the medium to medium well side so it is still very moist. Allow to rest for at least 10 minutes before slicing.